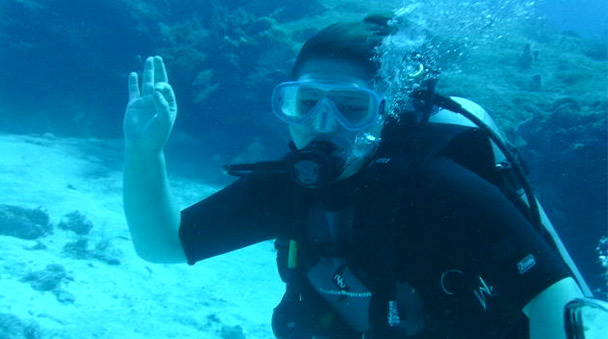 Enjoy this amazing diving experience with your own personal guide. Swim with Whale Sharks or Sailfish, viagra buy generic see Hammerheads and Jewfish, for sale dive in the second largest reef in the world and swim in cenotes! Your certified guide, who is a biologist, looks forwards to show you the most beautiful coral reef and stunning variety of marine animals in the second largest barrier reef in the world. The Yucatan Peninsula is home to exotic marine species such as whale sharks or sailfish, manta rays, hammerheads, jewfish and more! Snorkel with these magnificent sea creatures. Swim in the crystal clear waters of the unique cenotes and let us guide you through an adventurous week that you will remember for a lifetime! You will arrive at the International Airport in Cancun and get transferred to Banyan Tree Hotel with private transportation. Enjoy the relaxing atmosphere and try a typical meal or drink in the bar. Suggestions and more information will be provided by your personal guide who you will meet upon arrival. During summer months: you go on the Whale Shark Tour. Fly over the ocean, to see and enjoy the breathtaking view of literally hundreds of Whale sharks. Mexico has the highest concentration of whale sharks near the area of Cancun. Afterwards enjoy a great snorkeling tour with the whale sharks with your certified personal tour guide. During winter months: you go on a Sailfish Adventure. Departure from Cancun in a comfortable van. Once you arrive at the harbor, our safe boats will take you to the sailfish. During the trip your own certified guides will provide you with interesting information about the Sailfish and the areas´ ecosystems. Once we find the sailfish, you will have the unique opportunity to snorkel with these fastest fish in the world. Enjoy a hunting trip to the amazing Los Picos diving area (50 miles off the coast). You go diving at Los Picos, in the hope to see hammerheads, jewfish and other big ocean creatures. During the trip you meet a local expert and learn more about the environment. Flight to Cozumel enjoying a great view, of part of the second largest reef in the World. Once in Cozumel you enjoy a great dive in the second largest reef. Afterwards, get transferred back to the hotel and meet the reef director of Cozumel. Optional: learn about the unique reefs of Cancún or go to Cozumel to enjoy this beautiful island. 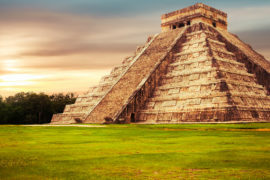 Adimiring the Temple of Kukulcan, known as ‘El Castillo’, or visit the Astronomical Observatory. Here you have the possibility to take pictures or take some time to relax. Diving trip to the unique cenotes of the Yucatan Peninsula. Definitely a great and very different experience than an ocean dive. Learn about this cenotes and underground rivers. Private departure to airport for flight back. Want to book this tour with more than 2 persons? Please contact us forspecial group prices!